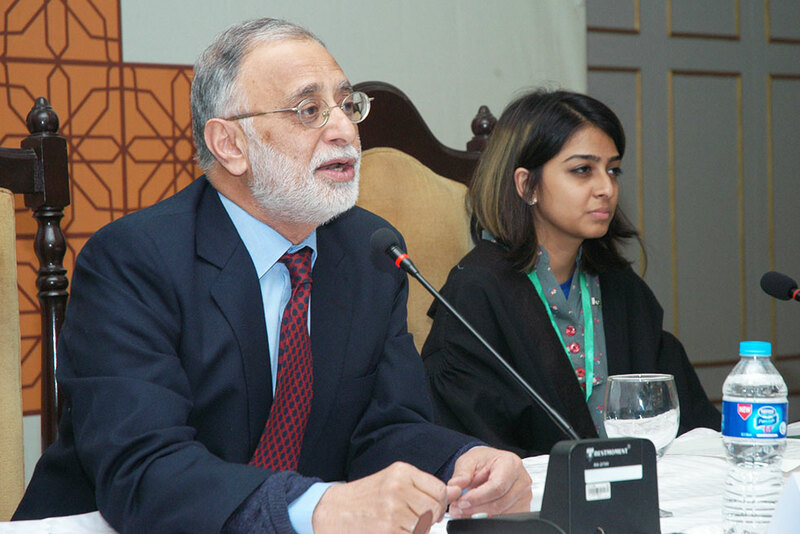 February 02, Islamabad; Members attending the fifth session of 7th Youth Parliament Pakistan had an opportunity to learn from the insights provided by Dr. Ijaz Shafi Gillani who is currently the Chairman GALLUP Pakistan and has been affiliated with National Defence College and Pakistan Institute of Development Economics. 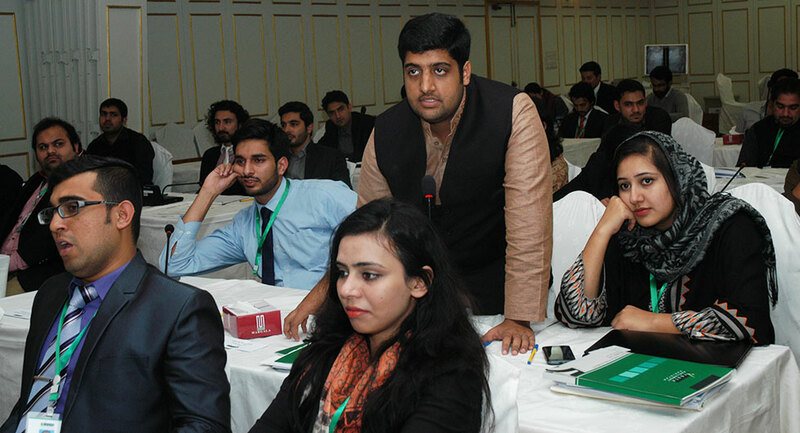 His unique way of maintaining an informal method of interaction throughout the session ensured keen interest of young Members of Youth Parliament Pakistan. Mr. Gillani shed light on the necessity of state and governance. He then discussed the evolution of Parliaments and the existence of some rough form of Constitution in all societies, including preliminary societies. He stressed the importance of Constitution as a method of binding two parties and regulating the behavior of two parties so that no one party gains at the expense of the other. Hence, a Constitution exists for the purpose of ensuring justice. Furthermore, Constitution is absolute and supreme and the Supreme is never an individual, therefore no individual can exist as supreme and hence, the necessity of constitution. Prior to this session, Members of Youth Parliament worked on the action plan regarding their respective committees- the members are currently part of three special committees formed for critiquing and suggesting improvements to PML-N, PPP and PTI respectively for the upcoming General Elections 2018. The initial draft of these recommendations was then discussed in the Plenary Session where each respective Youth Special Committee presented recommendations before the House and improvements were sought from the Parliament. Another important Proceeding in the House was the sharing of experience by the Members who toured UK and Denmark by those Members who were included in the Study Visit. Members were particularly interested in the insights that can help Pakistan improve their democratic culture and strengthen their democratic norms. The day ended with a visit to the Danish Embassy for a reception where Members of the 5th Session of Youth Parliament Pakistan discussed their experience and their concerns related to political situation in Pakistan. The Youth Parliament Pakistan, a PILDAT initiative since 2007, is currently funded by the Danish Embassy under the development programme 2013-2016.